Provide comfort for the family of Dennis Helzer with a meaningful gesture of sympathy. 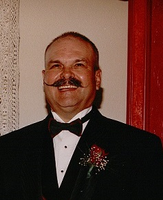 Dennis Brian Helzer passed away on April 5, 2019 from the ravages of cancer. He was born in Billings, MT on June 28, 1942 and was the first child of George and Rose (Rudio) Helzer. He grew up in the Bridger/Belfry area where his parents farmed. Dennis was baptized in St. Paul's Lutheran Church in Bridger and confirmed in St. John's Lutheran Church in Belfry. He graduated from Belfry High School in 1961. Shortly after graduation from high school Dennis enlisted in the US Navy. After serving 4 years and 3 months, he was honorably discharged on July 19, 1966. While serving in the US Navy, Dennis was awarded the National Defense Service Medal and the Armed Forces Expeditionary Medal (Vietnam). His time in the US Navy enabled him to visit and experience many foreign ports and countries in the vast Pacific Ocean. He liked to visit about these experiences later in life. After returning to civilian life, Dennis took a job with Pierce Packing Company until their closure in the mid 1980's. He then took a job at Montana State University Billings, retiring from the State of Montana in 2008. Dennis enjoyed numerous hobbies during his lifetime: hunting, fishing, gardening (both vegetables and flowers, especially roses), playing Cribbage and Pinochle, watching professional football games, making sausage and smoking and BBQing meat. He made the best smoked pork ribs ever! He also enjoyed remodeling homes and landscaping projects. He was a trickster and good at playing harmless jokes on people. Dennis was preceded in death by his father George and is survived by his mother Rose, a sister Georgia Hembree and a brother Randy (Monica). He is also survived by a nephew, two great nephews, numerous cousins and one uncle and aunt. Dennis will be greatly missed by his family and friends. He was a very kind and gentle person that you could always count on and was always willing to help in some way. A service for Dennis will be held at 11:00 am on April 12, 2019 at Smith Funeral Chapel West, 304 34th St. West, Billings, MT. Interment with military honors at the National Veterans Cemetery, Laurel will follow at 1:00 pm with a luncheon afterwards at Smith Funeral Chapel West. No flowers please. To plant a memorial tree in honor of Dennis B. Helzer, please visit our Heartfelt Sympathies Store. Today, I learned that your family is mourning the loss of your beloved Dennis. Please accept my condolences and be assured that almighty God is certainly aware of your painful feelings. May God comfort and sustain you to get through this day and others to come (Isa 41:13). Wishing your family all the best at this most difficult period.